First of all, let me make a small introduction. I am Viktor, and I am from Russia. Currently I am looking for a pilot job. I have a FAA CPL with IR and ME ratings and 260 flight hours. I finished the first step, and I totally understand that it is only the beginning of a long path. If you know somebody who is interested in a low hour pilot, regardless of terms and payment size, please let me know, I will greatly appreciate it. In my blog I am describing how I answered the very popular question “how to be a pilot” for myself, and will describe my next steps like getting my first pilot job and my career progress. Sometimes I post my thoughts and doubts here. The main idea of this blog is a description of my pilot’s route “from zero to hero”. I was 30 when I had decided to completely change my career, and I still keep going. Initially I started my blog in Russian, and since that time I made a bunch of long posts. I am working on translation, but since I don’t have very much time, I finished only about 50% of the whole content, and it still contains some typos and mistakes. If you want to read more, you may click on “Russian” link at the right side and use google translate for now, or just wait some time: I promise, I will translate all my posts manually as soon as I can. My first discovery about flying was made rather late, and at first it seemed simple: everybody can fly. Literally everybody, without exceptions, and all you need is just desire. For me it was a hang glider: it turned out that there is a great community in Moscow, and it is open to everybody. One does not need a huge amount of money, one should not start from the very early ages. I heard a lot of myths and stories around that community, and they prevented me to look closer, but they were just myths. Once more I realized the simple thing: I just have to start, and I just have to move on. Don’t give up. So, it seems that it was just the right moment, and I finally made a DECISION. I want to fly! So, anything else was a matter of time and persistence. I did not have problems with motivation, but time… Yes, I live in Moscow, and lifestyle is very fast here. You never have enough time. Therefore, I could not expedite my progress. Then I changed my job, got married, changed some other aspects of my life, and was not being able to find enough time for flying. But the idea was always alive. After some time I started working remotely, and turned towards my passion again. Finally I made my first solo flight in dynamic flow, and landed at the place where I took off. You can find it here: Viktor hanggliding in Crimea, it’s better to watch it from about 1:50. Time was passing, and at some moment I got enough courage to start my airplane pilot route. I think that now it is the greatest adventure in my whole life. I was searching tons of information about flight schools, I was reading a lot of forums. Actually I made a huge research. Possibly even more than needed. And finally I decided that it is time to start. No doubt, no fear. Just do it. Just move on. I started reading books and listening liveatc. I was still sitting in Moscow and waiting for the better moment to go somewhere and start flying. Some more months passed. And I realized again: I can wait the rest of my life. The best moment is NOW. I should just do it. In fact, I did not know how it would be, and where it could go; and I did not have a really detailed plan. But I definitely knew that I want to move on. To be honest, even now I still do not have a detailed plan further than some months: I am looking for opportunities. I started in Czech Republic, then moved to the US for training. That decision will be explained in my further posts. I am still working, that’s why I cannot study full-time, and the progress is slower that it would be, but I definitely know that I will keep going. More than a year passed since I started searching a good flight school. I started with Europe (and finally got my PPL), then obtained FAA CPL in the US. It required a lot of effort, I checked out tons of information. Generally I suppose that I made a right decision. Now I understand that it was pretty easy compared to getting a first job as a pilot. I was understanding that when I started my journey, but it is totally different to know it and to posses a licence without any job perspective. Let me can explain a little more. There are plenty of schools across the US and Europe. As a result, one should only analyze available information, feedback etc. Almost every school wants you as their student. In other words, the problem is to pick the most convenient one, in terms of instructors, policies, price etc. No doubt that it is a difficult choice, but you still have a lot of options. Finally you will have a license, sooner or later. The job market is a different story. Nobody wants a brand new pilot with 200 hours in a small piston aircraft. In Russia nobody wants a pilot with foreign license at all. In other words, I have no valuable experience. I have only a great passion to fly and pretty good English. And I have my license, of course. What can I do? I will apply to small carriers, again and again. What else? I will increase my hours and obtain additional ratings. Moreover, I will study for my EASA ATPL. Probably at some moment some company (or even a country) will experience a pilot shortage, and I am going to take any opportunity. And even if nothing like that happens, I am going to increase my experience. Some day I will have enough qualification for taking my first job. I am moving on. Last week I traveled to Prague. It was not related to my aviation progress, but I did not want to miss this opportunity, and tried to find an airplane. Unfortunately I had a very tight schedule, and it did not happen. I had a day in Warsaw though, thus I signed up for ATPL theory course there. It is a distant learning with just 2 weeks on site. I signed the papers, and now I am waiting for Polish CAA approval. At the aerodrome I realized that I still have some time, and there are some planes 🙂 I tried to hire a plane, but did not succeed. Neither Ventum Air nor Salt Aviation could help me with that. When I had almost lost my hope I spotted a small building with the label “Runway Pilot School”. I entered there and asked for a plane, and voila! They provided both an airplane and a safety pilot in some minutes! One more flight hour, and my first flight in Poland! In my previous posts I already mentioned EviationExam, the great question bank for EASA exams. It is surprisingly good for FAA exams too: in spite of the fact that nobody heard about it, from my opinion it is the best tool after Sheppard Air. The usual annual subscription price for all EASA subjects is 170 euros. I don’t know whether it is a lot or not, but the only competitor BGS Online charges almost the same amount. I already mentioned a discount in case of purchasing 5+ copies. My blog is not so popular, and I did not want to specifically search for people interested in that product. Therefore, I have been already ready to buy it: yesterday my BGS Online subscription expired. … or how to waste some money. Firstly I’d like to tell about FAA check-ride situation in Florida: a lot of flight schools, a lot of students, and only 5 DPEs. On practice it means that usually one have to wait for a checkride more than a month. We are a little bit lucky, because DPE works in our school, and if somebody cancels, we have a priority. Of course one can apply for a FAA examiner, but waiting time is even longer. Usually much longer. So, I met my commercial requirements according to FAR 61.129 about a week and a half ago, and scheduled a checkride. I was lucky, somebody had a cancellation, and I was expecting a checkride July 16. And on Tuesday somebody canceled a checkride on 12th of July, and I took that slot. That is I expected my commercial checkride today. It did not happen. It has stopped even before we started an oral part, during a logbook analysis. During my instrument training I got 38, and I considered that I’m done with that. But the examiner used this and this FAA letters. In the first one we can see that 61.65 training hours (i. e. towards instrument rating) do not qualify towards 61.129 requirements (commercial). The opposite works. 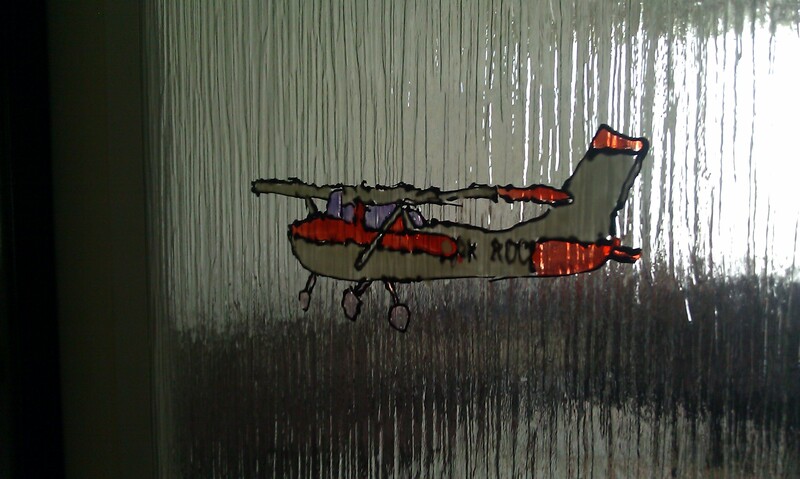 The letter is for helicopter rating, but nevermind, for airplanes we have the same. The second letter says that the training can qualify, but it should meet 61.129 requirements. I. e. if CFII explicitly adds that in the logbook during your instrument, you are safe. But the problem is that I was on a part 141 during my instrument. It is a structured training with an approved syllabus. Nobody mentioned anything about 61.129. Actually standards are the same, and training is the same. But legally it does not work without mention of 61.129. And DPE’s position – I need 10 hours more instrument time (dual) after 141 instrument program. Possibly it was naive, but I supposed to have almost exactly 250h TT before my checkride. It does not happen now. So, let’s fly more. I hope I will have a long cross-country tomorrow (the concern is the weather…). Later I just have to plan ahead more carefully. During my commercial training I had a small doubt about this requirement, but I did not paid attention on it, neither my CFI did. So, I need more hours, my checkride shifts by some days, and I cannot even imagine when I can have my multi checkride. Flight hours are OK, they always matter, but I am disappointed about longer time. P. S. when I already realized that I don’t fly today, I figured out that the airplane for our checkride have only 1 hour before 100h inspection. Somebody flew a cross-country yesterday night. My EASA ATPL written test preparation moves on very slowly. But I don care, because during this time I completed my FAA IR, and now I am working on my FAA CPL. Nevertheless, I am still interested in EASA ATPL, and I’d like to continue studying. Today I succeed in my efforts of trying to wake up early in the weekend. Actually it is a good reason to do it: much more chances to fly cross-country wherever you want before thunderstorm activity. Today I am going to Bartow. It is an airport on the South-East, about 70 miles. Close enough to have a breakfast and go back before significant weather activity. Today it is a typical Florida summer day near the Gulf of Mexico: after about 11 am South is closed by some thunderstorms lines or at least isolated thunderstorms. So, I am going to Bartow. Controlled airport, class D. I can practice my communications. I checked tower working hours, and everything seems OK. With that weather and my working hours I fly to the South-East not very frequently. I decided to ask for a flight following: good practice for IFR flight communications (of course, not exactly, but close enough). And it is a good idea to get a traffic information in that area. Climbing to 5500. The air is calm and cool. Perfect in summer. No clouds, so nothing prevents me to climb to that altitude. 15 miles to the destination. ASOS. Weather, runway in use. “The restaurant is closed”. Oh, it seems that I have no breakfast today. Landing, vacating the runway. I am asking taxiing to the FBO. Taxiing to something that I supposed to be the FBO, but… “N7692U, FBO is in another direction!”. “Request progressive taxi…” How can I know that the FBO is the small building with a 4-plane parking? I thought that it is a group of hangars and 100-plane parking nearby… No signs in the airport, no marks on the airport diagram. BTW, thank you very much for understanding! So, it’s time to go back. The weather still looks good, the coffee is done. On the way back I decided to ask for a flight following again: there are some clouds on the way, and it is a good idea to have traffic advisories. I fly non-IFR airplane, and possibly I even cannot go direct. In that case flight following can be a good advantage. I requested 4500, but the controller asked me for 3500. OK, why not. After some time I have been seeing clouds straight ahead. OK, asking 4500. Clouds are still somewhere in front of me and getting closer. 6500. No way, still below the tops somewhere in front of me. Damn, I supposed that tops should be at about 4000-5000! I have absolutely no wish to try to go through that labyrinth. So, I should either try to go higher, or descend and proceed below them. OK, descending back to the summer hot. I cannot continue direct, I don’t want to go back, so making 360. 6000, 5000, 4000, 3000. Still a little bit above the cloud base. 2000. OK, at least here I am well below. I can proceed to my destination, and it is easy to find a labyrinth path when you are below it. After about 10 miles the clouds become scattered to few. Oh, every day in that place I can see almost the same. Two more hours, and there will be thunderstorms here. But now it is still good. I already told that I need 250h total time. I consider that I can fly different aircrafts during this time-building, and get additional endorsements. One of the endorsements is a tailwheel one. It is useful so for better airplane control as for future job opportunities at least before I will gain enough hours. In my case the training airplane is citabria. It is aerobatic plane. Pilots seat one-behind-another, not side-by-side. There is no attitude indicator and course directional indicator, but the airplane has g-meter. It shows g-load. The throttle lever is on the left side. No flaps. A stick instead of a yoke. Taxiing is really way more difficult. I am like a drunk sailor. I should apply rudder much more precise. Take-off. Initially the plane points up, but the tail goes up with the additional speed. Of course, it is required to push the stick a bit. After that it feels like a usual take-off in a cessna. The ball in a turn coordinator behaves like an insane. I used to see 1/4 deflection. At most 1/2 in a turbulent weather, but here… It runs from one edge to another. The airplane is much more sensitive. Steep turns. The airplane enters in a steep turn very easily, as like returns to wings-level state again. We can only determine an angle with g-meter and outside references. We should turn by magnetic compass reference, so we refresh the knowledge about compass turning errors. Stalls. Pull the stick. The speed is decreasing. Stall… Recovery. I am pushing the stick as I used to do it on a cessna, and… It seemed that the airplane went down almost vertically. I already mentioned that the controls are much more sensitive. Sideslip – it seems that my heading and course differ at least by 30 degrees. And I have to know how to do it – remember, we have no flaps. I flew my first traffic patterns in about 3-4 minutes, no more. I used to do it in about 6 min. I liked the citabria a lot. It requires even more control precision and provides less time for a reaction, but it’s an amazing airplane. I think that this experience can greatly improve basic piloting skills. During my previous visit here I completed almost all commercial requirements related to night hours except one 2-hour cross-country. I wanted to fly it, but some circumstances prevented that flight. This time it seems to be as planned. I checked the airplane in advance, ensured that we have full tanks and enough oil. Ensured that nobody will fly the airplane since that check. The airplane is just from maintenance. We fly with my instructor. So, here we go. Checking everything one more time, reading checklists. Everything is OK. Taxiing to the runway. Accelerating. Airspeed raises, but extremely slow. It is more than 500 ft, but we still have 45. 45, 47… The runway is long, but not endless. Aborting take-off… We are OK and stopped well before runway threshold, but I think that the real speed was more than 70 when decision was made. Some system malfunction is not a pleasant case. I was slightly scared. And I have to react quickly. Taxiing back, shutdown. But I still want to fly! The weather is good. Another airplane is OK, fuel is OK, oil is OK. We still can fly! The flight was good. I thought that it’s hard to see clouds at night, but actually it is not. We can fly well below them. We flew to KVNC, and requested flight following. For the some reason the controller diverted us along the shoreline, around class B airspace. Return flight is also around class B airspace, but on the East side. Firstly because of weather avoidance, and secondly because it’s fun to fly a different route. One more cross-country flight to jacksonville Executive. Our route crosses a restricted area: when it is active, I cannot fly there in specified altitude range. That area can be activated in specified hours, or by NOTAM. If it is active, I should avoid it or choose an altitude out of the area range. Briefing. The area is inactive. The weather is good. Let’s fly! At about 10 miles before entering restricted area I ask the controller about area status, just in case. Everything is OK. And the controller gives me some more information about adjacent areas. Flight following is a very useful thing. I like it. Especially because I don’t have neither TCAS nor ADS-B equipment, and traffic information can be useful in busy areas. I also plan some flights with IFR flight plan in a good weather to maintain my communication skills and shoot some approaches. I have to be proficient in it before entering real IMC. This post is becoming traditional when I continue my practical training after 1-3 months interruption: blog is still alive, the idea is alive too. At least I am piloting again. I flew more than an hour today. Normal take-offs and landing, short field take-offs and landings, soft field take-offs and landings. Stalls, steep turns. I missed it a lot! I continue my training. I already wrote that I am going part 61 instead of 141 for my CPL, and it is really perfect. Yes, it is 250h TT vs 190, but I highly doubt that I can find any job with < 200h TT. 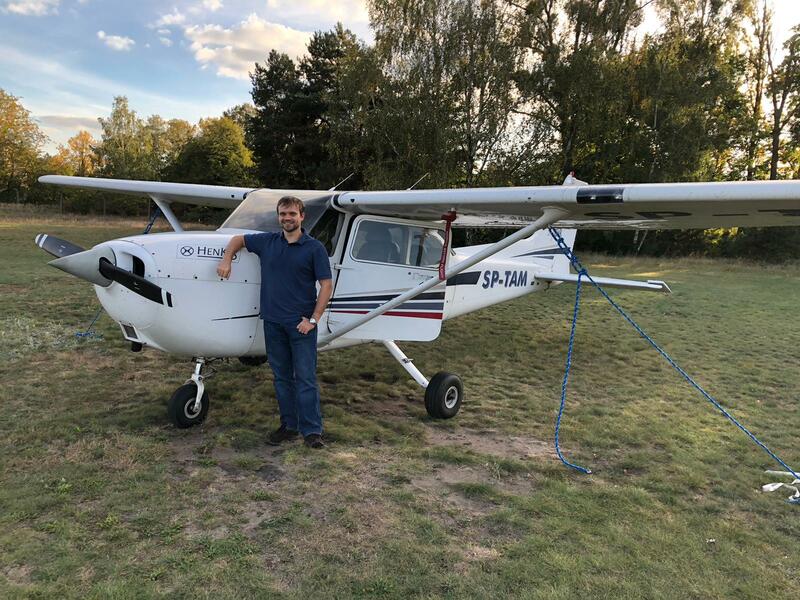 And I already have 150h after my EASA/FAA PPL + FAA IR, because I flew more than 50 solo cross-country hours in August for meeting my EASA CPL requirements in future. So, it’s really great, because I can go faster. The instructor is unavailable, but the weather is good? OK, fly solo. The weather is bad for cross-country? OK, practice commercial maneuvers in the vicinity of the aerodrome. Bad weather? Fly IFR. For part 141 it is not recommended: you should follow a syllabus. Besides, I am preparing to FAA written. Now I use aviationexam and gleim with more than 90% score. Possibly will purchase sheppard, but not sure for now. Finally I ordered an iPad. I’m not a fan, but I’d like to use foreflight, and it exists only for iOS. I understand that there are plenty of alternatives, but what is the point? Foreflight is really great. Everybody knows it, and almost everybody uses it.